A shared services acquisition office at Health and Human Services Department is building a contract vehicle for emerging technologies that it hopes one day will be able to compete with other massive contracts in the governmentwide acquisition contract, or GWAC, space. The department’s Program Support Center is in the process of soliciting bids for its new Intelligence Automation/Artificial Intelligence, or IAAI, contract, a vehicle the agency expects will generate up to $49 million over five years. 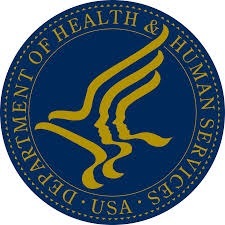 Initially, the contract will be available to HHS components looking for cutting-edge technologies. But program officials have much bigger designs for the vehicle. “We’re hoping to get a very large number of vendors who can provide that catalog of services, not just for me at Buy Smarter, but the contract is designed so we can buy and scale across HHS and, potentially, across the government space,” Lori Ruderman, who leads the HHS Buy Smarter initiative and is a senior adviser at the Program Support Center, said Tuesday during a panel discussion at the AFCEA Bethesda Health IT Summit.